(Sweetwater) – Two employees at Texas State Technical College in Sweetwater have been honored for their outstanding service and dedication to TSTC. James Spivey, a building maintenance supervisor, and Karen Waller, chief of staff of Strategic Relations, have received TSTC’s Chancellor’s Excellence Awards. “Yearly, the Chancellor’s Excellence Award honors those who have consistently demonstrated a work ethic above and beyond their job descriptions, which aligns with our core values of excellence, accountability, service and integrity. On a daily basis James Spivey and Karen Waller exemplify these values; hence, their induction into this elite group is well deserved,” Rick Denbow, provost at TSTC in West Texas, said. Spivey joined TSTC in 2016 as a maintenance worker and quickly moved up to a leadership role. He was surprised to learn he had won the award but sees it as a win for his team. “This means my team is working really hard because they are the ones that make me look good. I am exceptionally proud of them, and I am personally flattered,” he said. 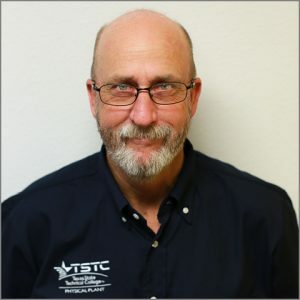 Spivey’s first encounter with TSTC was when he was in high school taking welding courses at what was then known as Texas State Technical Institute. He says fate must have been sending him a sign because he decided to work at TSTC after reconnecting with his high school sweetheart, another TSTC employee, who is now his wife. “This is my home. A lot of places you work at they don’t even know your name, but here there is compassion. 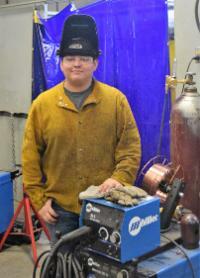 I will be here for as long as TSTC will have me,” he said. Spivey said this is the first time he has received recognition for his work from a company. Waller felt honored to win the award and said it fueled her passion even more. “I truly appreciate that my peers felt I deserve this honor. Our work at TSTC is important because we can affect so many lives and have a positive impact in a student’s life and career,” she said. Waller has dedicated her career to education and has worked the last 26 years in education administration. She started at TSTC in 2012 and promotes educational partnerships with other community colleges, universities and industry leaders. “I am very proud of my accomplishments at TSTC and plan to continue to make TSTC a great place to work and also a great place for our students to get an education. We are here to educate our students and provide them with a foundation that will serve them the rest of their lives,” she said. A Snyder native, Waller has lived and worked in the West Texas area her whole life. 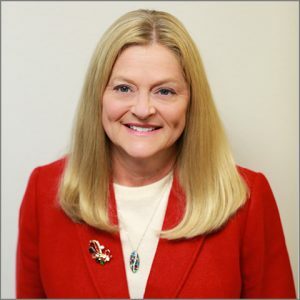 She is a certified public accountant and has a bachelor’s degree in interior design and a master’s degree in income tax accounting from Texas Tech University. Spivey and Waller will join 33 other TSTC employees statewide who will be honored at the National Institute for Staff and Organizational Development’s Excellence Awards Dinner and Celebration in May in Austin. James Spivey, from Texas State Technical College in Sweetwater, is a building maintenance supervisor. He was awarded the Chancellor’s Excellence Award. Karen Waller, from Texas State Technical College in Sweetwater, is chief of staff of Strategic Relations. She was awarded the Chancellor’s Excellence Award. This entry was posted in Sweetwater, West Texas and tagged Chancellor's Excellence Award, Sweetwater, Texas State Technical College, TSTC, TSTC in Sweetwater on April 19, 2019 by Sarah Trocolli. 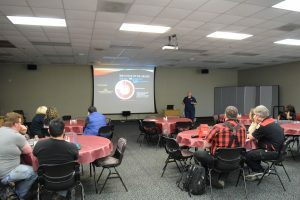 (Sweetwater) – April is Sexual Assault Awareness month, and Texas State Technical College is helping to raise awareness of sexual assault and domestic violence by partnering with representatives from Hendrick Medical Center and Rolling Plains Memorial Hospital to provide information seminars. A session was held on the TSTC campus in Sweetwater on Friday, April 12, and more are scheduled for the summer and fall semesters. According to the Centers for Disease Control and Prevention, one in four women and one in nine men are victims of sexual violence, physical violence, and/or stalking by an intimate partner. Griselda Sanchez, director of Student Services at TSTC in Sweetwater, said she sees this as an opportunity to delve further into the information already given to faculty, staff and students. 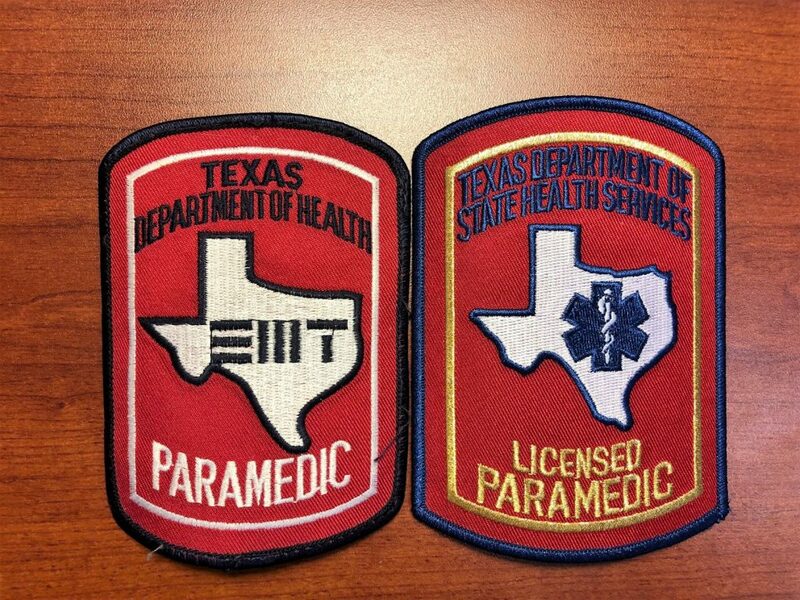 “TSTC makes sure to have these discussions with everyone once they get on board with us. But, it’s important for us to give our people in-depth information of how to prevent, report and help those suffering from sexual assault or domestic violence because it can happen to anyone, anywhere,” Sanchez said. Stephanie Lebowitz, trauma coordinator and emergency manager for Rolling Plains Memorial Hospital, led the domestic violence information session, while Ann Marie Willoughby, outreach clinical lead for Hendrick Medical Center, led the sexual assault session. Lebowitz stressed the importance of empowering victims and educating residents of rural areas. “The attorney general has recognized the prevalence of abuse in rural areas, and the lack of reporting and resources available. So, we have been given the means to educate, spread awareness and help unite communities to rally around these victims and help them,” Lebowitz said. Lebowitz and Willoughby said people think of domestic violence and sexual assault as separate, but they can be interconnected. “Sexual assault is more common than burglary on most college campuses. I’m not saying TSTC, but at colleges in general students have a chance of being assaulted, and we want to educate them, and faculty and staff, so they can help each other,” Willoughby said. For TSTC automotive instructor John Kirchmeier, the message hit home. “Everything they said was spot-on. It’s important for us to know this information because we are with the students every day, and we may see something. We have to be the first line of defense,” Kirchmeier said. The National Sexual Assault Hotline can be reached at 800-656-HOPE (4673). The National Domestic Violence Hotline can be reached at 800-799-SAFE (7233). Students, faculty and staff listened to presentations about domestic violence and sexual assault from representatives from Hendrick Medical Center and Rolling Plains Memorial Hospital. This entry was posted in Sweetwater, West Texas and tagged Domestic Violence, Sexual Assault, Sexual Assault Awareness Month, Sweetwater, Texas State Technical College, TSTC on April 15, 2019 by Sarah Trocolli. 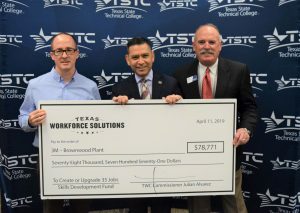 (Brownwood) – Leaders from Texas State Technical College, the Texas Workforce Commission and 3M Brownwood gathered Thursday to commemorate a $78,771 Skills Development Fund grant aimed at improving 35 workers’ skills at the 3M Brownwood facility. 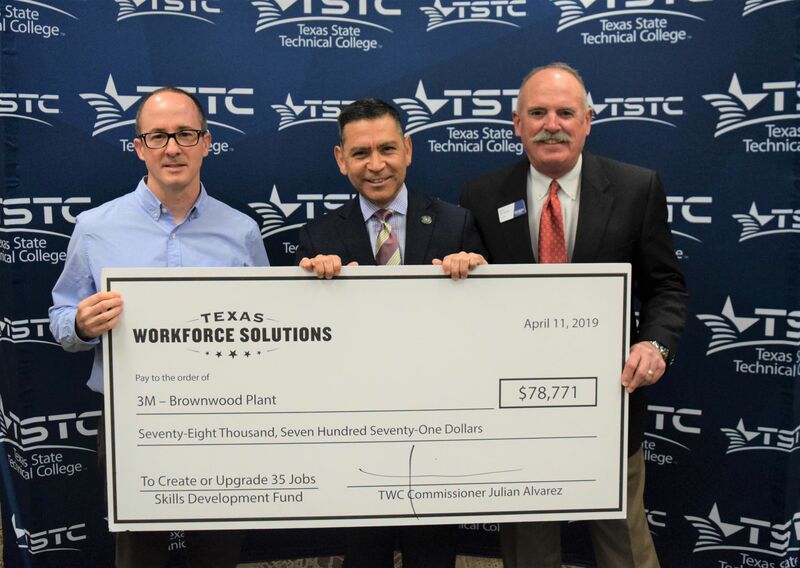 The grant will provide customized training for 33 incumbent and two new 3M Brownwood employees that will take place at both TSTC in Brownwood and the 3M Brownwood plant. Employees will receive training in electrical safety and craft skills training. 3M Brownwood EHS/Plant Engineering Manager Chad Benton believes this is a great opportunity to improve the skills of their employees. Training is already underway and will be completed in July. “TSTC has an impeccable record. They are following the governor’s orders and putting people to work. When we gather for events like this, it shows, and we see all the partnerships needed to create jobs and support the economy,” Julian Alvarez, commissioner representing labor for the Texas Workforce Commission, said. Ray Tipton, executive director for the Brownwood Municipal Development District, said he is excited and thankful for what the grant will do not only for the 3M employees, but also for the city of Brownwood. TSTC in West Texas Provost Rick Denbow agreed, saying he believes this is a success that will be felt beyond Brownwood. “This is a win for everybody. It’s a win for the employees, the local economy, the state of Texas and for TSTC. We are putting people to work, and that’s what TSTC was chartered to do,” Denbow said. The Skills Development Fund has been used since 1996 to localize workforce training for companies. It enables companies to work directly with local partners to develop training tailored to employees’ needs. The grant has assisted more than 4,200 employers statewide, according to the TWC. 3M Brownwood began manufacturing in 1965 and is a leading manufacturer of reflective sheeting for highway signs, license plates, protective clothing and security laminates throughout the world. From left to right, Chad Benton, EHS/Plant Engineering Manager at 3M-Brownwood, Julian Alvarez, Commissioner for the Texas Workforce Commission and Rick Denbow, Provost at Texas State Technical College in West Texas hold the check for $78,771 from Texas Workforce Solutions. This entry was posted in Brownwood, West Texas and tagged 3M, Brownwood, grant, Texas State Technical College, Texas Workforce Commission, training, TSTC, TWC on April 11, 2019 by Sarah Trocolli.